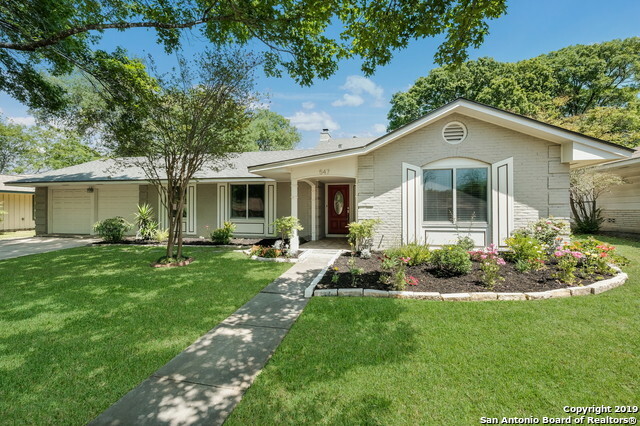 All Enchanted Forest homes currently listed for sale in San Antonio as of 04/22/2019 are shown below. You can change the search criteria at any time by pressing the 'Change Search' button below. "Absolutely charming home with beautiful curb appeal. Floor-plan has an open & airy feel with tons of natural light. Two living areas & three eating areas provide endless options. Kitchen has gas cooking & stainless appliances. Huge living room with stone fireplace. Enjoy the evenings in the backyard surrounded by trees that provide great privacy. Roof and AC replaced in 2016/ Additional insulation added 2018/ House has been rewired with whole house surge protection/ Water softener and purificati"